I like most of America watches their football games on the Redzone channel. Thankfully I don’t have to keep flipping back and forth between two games or be stuck watching the lone game on national TV. 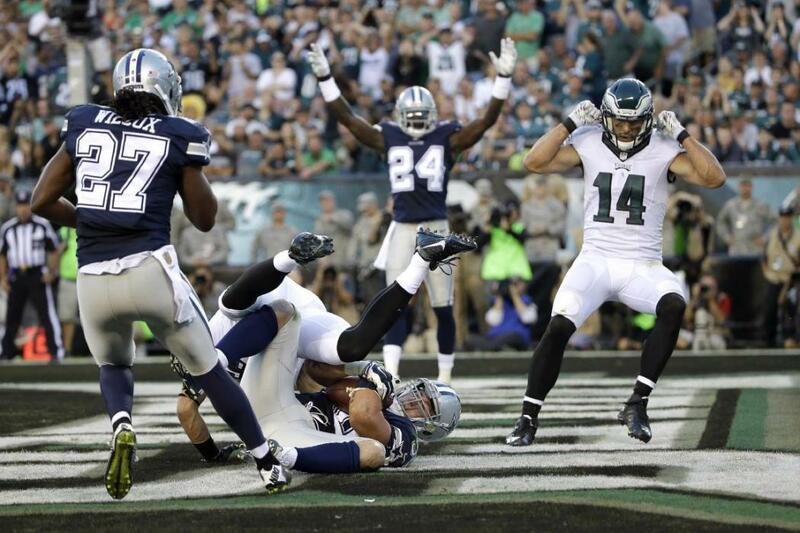 However, I was unfortunate in having to see some of the Cowboys vs. Eagles game this past Sunday. Dallas wasn’t great even having Tony Romo for most of the game. He’ll be out for a while as will Dez Bryant who was injured during Week 1. The worst wasn’t with the Cowboys. It was with the Philadelphia Eagles. What the hell happened to the Chip Kelly Oregon Duck offense? All of a sudden the offensive line couldn’t open up one hole for DeMarco Murray. Sam Bradford didn’t look like the former number one pick and the receivers were dropping balls all over the place. I would have gone nuts if I had to watch that game from start to finish. With that said I’m sorry that most Eagles fans’ had to sit through that one. Dallas’ defense looked good, but I’d have to think that the Eagles offense helped them a lot. Big test coming up for Dallas with no Romo or Bryant for about two months. Philadelphia still has time, but the fans are already restless. It couldn’t happen for the second straight game. 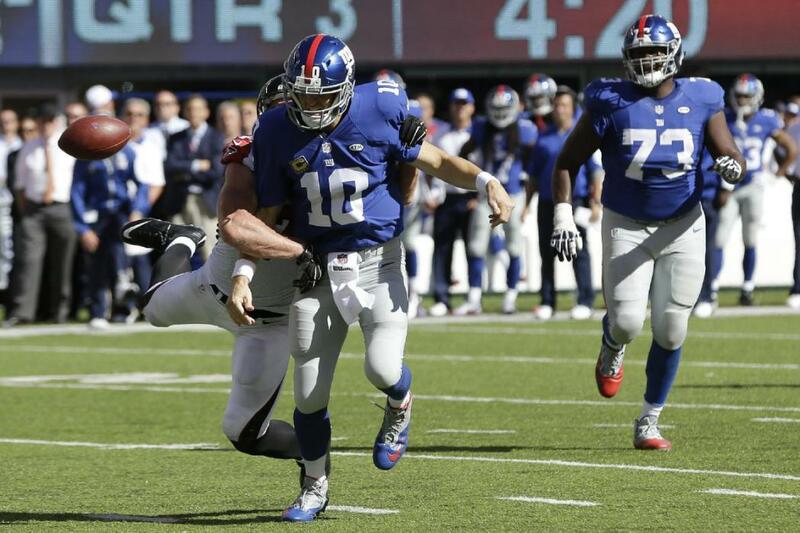 The New York Giants blowing another 10 point lead in the fourth quarter, but it did happen and it was another loss. Realistically they should be 2-0, but the clock management of this team is staggering. With what happened in Dallas last week you’d think they would know not to repeat those mistakes. Atlanta had plenty of time to drive down the field to score the go-ahead touchdown with the Giants offense looking flustered. Also not being able to or just refusing to run the ball at times was puzzling to me. The Falcons aren’t a great team, but they’ve beaten two NFC East teams to start the season and have their sights set on Dallas next week. With this start to the season you could say the Giants season is lost, but I can’t quite do that to a team from the NFC East. Why? You never know which one is going to show up. Way too early to make that decision. Before the Week 2 action on Sunday, there was a game played on Thursday. Get used to it, this will be the norm. I think I have seen almost everything in a football game. The ending to this one really took the life out of me. The Kansas City Chiefs score the go-ahead touchdown with over two minutes to go. First of all it was way too quick of a score. No awareness of the clock and the fact that Peyton Manning is the opposing quarterback. Sure enough the Broncos drive down the field and tie the game with about 3o seconds left in the game. You’d figure that the Chiefs would just take a knee and go into overtime. They’re playing at home by the way. My rule is that if you’re at home, play for overtime. On the road go for the win, but I digress. The Chiefs line up in shotgun formation and hand off to Jamaal Charles, who is a sure handed back although he had fumbled on the first drive for the Chiefs. Guess what he does? 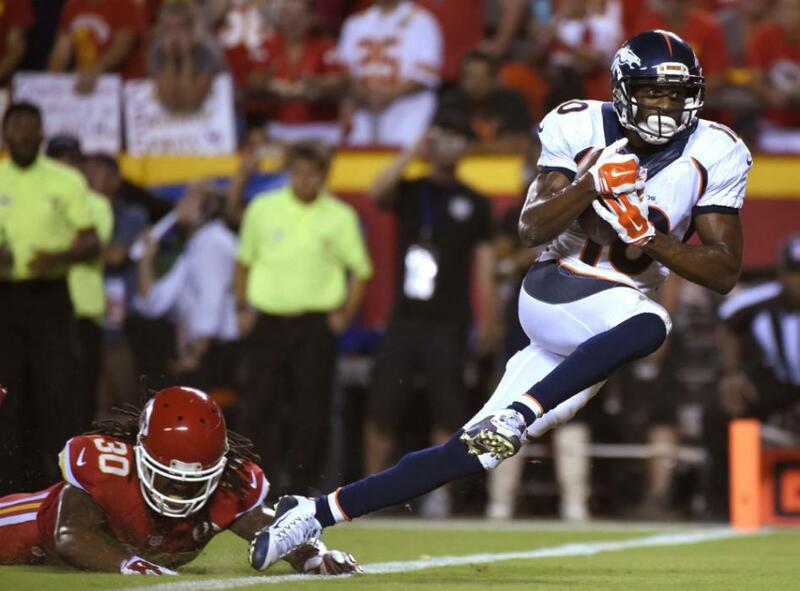 You guessed it, fumbles and the ball is promptly picked up by Denver and returned for the game winning touchdown. I think now I can say that I’ve seen it all. Good luck getting back on track after that one Kansas City. This entry was posted in Football and tagged Broncos, Chiefs, Cowboys, Eagles, Falcons, Football, Giants, NFL, Weekly Review.